Japan has launched an experimental space scavenger into orbit that will study the possibility of getting rid of cosmic junk caused by over half a century of space exploration. More than 500,000 pieces of “space junk” are circling our planet and being tracked by NASA. Millions more tiny fragments of old satellites and spent rocket stages evade our radars as they are too small to be monitored. Traveling at speeds of up to 17,500mph, a relatively small piece of orbital debris can inflict a great deal of damage on a satellite or a spacecraft orbiting our planet, especially the inhabited International Space Station (ISS). 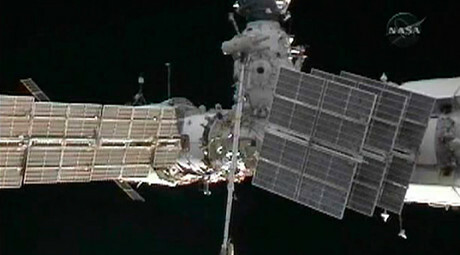 The growing problem of a potentially major collision has prompted several companies and space agencies to propose and devise ways to get rid of the unwanted rubbish in space. 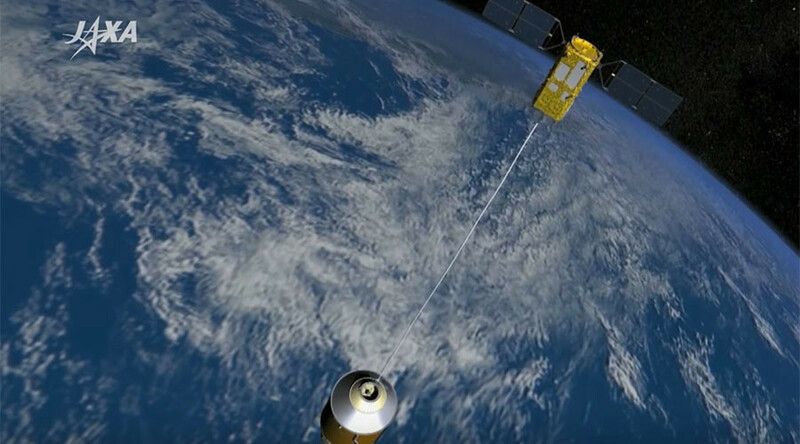 “Electrodynamic tether (EDT), an advanced high-efficiency propulsion system, is a promising candidate to deorbit the debris objects at low cost,” JAXA said. Once in orbit, the spacecraft is set to perform Kounotori Integrated Tether Experiments (KITE) in order to test out the new technology designed by JAXA engineers in collaboration with Nitto Seimo Co., a Japanese fishing net company. The experiments will see a 20-kilogram (44-pound) weight extended into space attached to a 700-metre (765-yard) tether. The objective is to study the behavior and movement of the tethered mass. “The length of the tether this time is 700 meters, but eventually it's going to need to be 5,000 to 10,000 meters long to slow down the targeted space junk,” Nitto Seimo's engineer Katsuya Suzuki told AFP. “If we are successful in this trial, the next step will be another test attaching one tip of the tether to a targeted object,” a JAXA spokesman told AFP.